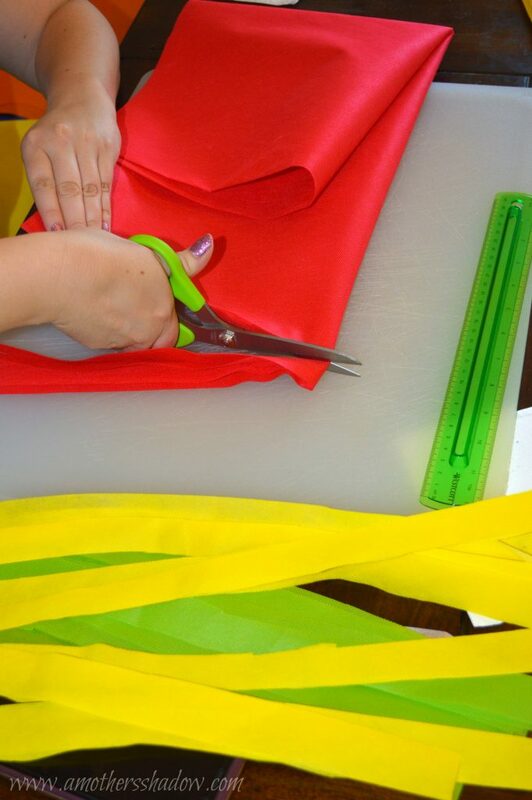 Do you love this DIY Homemade Windsock! 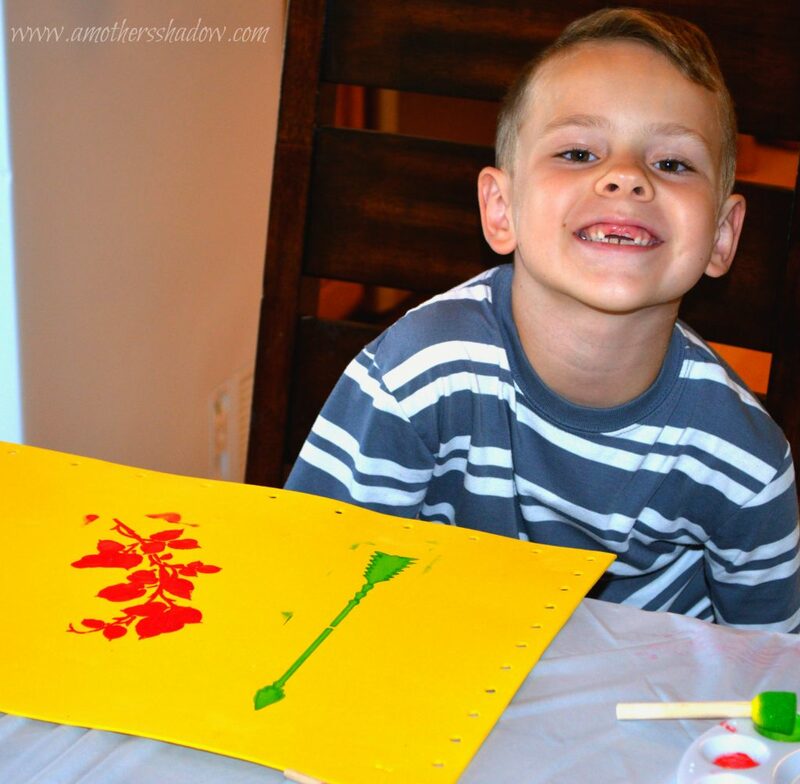 Are you looking for a great craft to do with your kids that you actually want to keep when they are done? Or a project that helps them learn a new art, skill and talent? 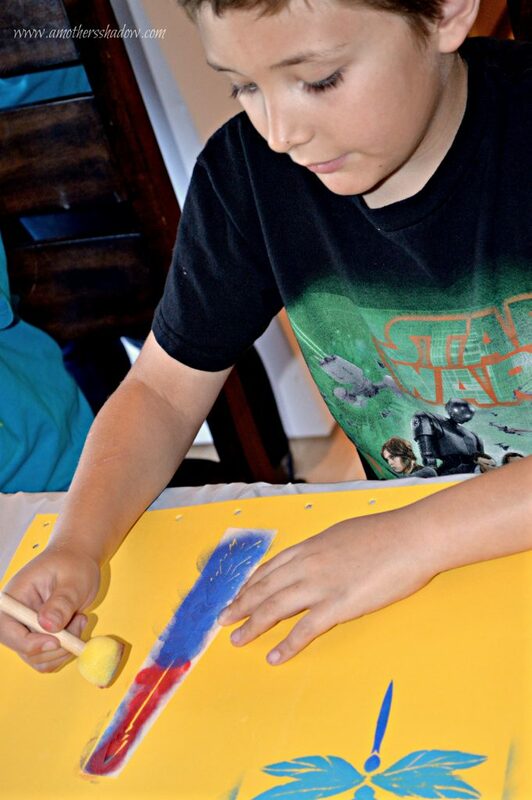 What about an activity that is unique and fun at the same time? 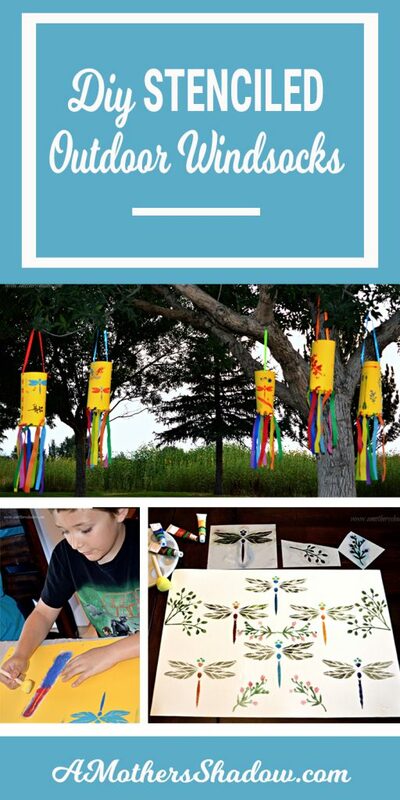 This kids craft DIY Homemade Windsock has all of those elements and so many more! It’s a DIY Outdoor Windsock for your garden, yard, patio – anywhere outdoors. Also, this DIY Outdoor Windsock is exceptional because it can be for kids AND adults to make in their own style, and fly with pride. It’s all because of the stencils. STENCILS! You can adapt the feel and look you want easily from the stencils you choose. Let me tell you more about them. I am so excited to share with you a company that I had the opportunity to partner with on this fun project, STENCIL REVOLUTION. Those little babies were amazing! They held up through the grand kids using them and then the adults! No wear, tear or problems at all – quality and excellence in each and every stencil. So how did we make those fun DIY Homemade Windsocks? I’ll show you in this EASY step-by-step tutorial AND we have a video with Stan demonstrating that amazing Dragon Fly so you can see how to do a mock-airbrush technique very simply! FIRST visit Stencil Revolution HERE and choose the stencils you want for you project. They have SO many quality options for you and in various sizes too! The shipping is extremely quick. If you have any questions at all during your check out process the friendly and helpful staff are there to help you all the way! We used 12″ x 18″ foam sheets and I see some on Amazon, but I did get ours at Hobby Lobby. I’m not an affiliate there, and THIS and THIS are the links to see what we used. Ribbon or strips of fabric: 1 piece that is one yard long and nine pieces that are 24″ long or as long/short you decide. You need Ribbon or Strips of Fabric for the tails and to tie the sides together. Now before we get going on what we did, how about some FUN ideas of what you could do! Depending on what stencils you choose, THIS RIBBON is a fantastic choice to look at. Do you like Pineapple decorations? This PINEAPPLE STENCIL and PINEAPPLE RIBBON would be whimsical on a patio. You’ll find so many Windsocks to make as you look through all of STENCIL REVOLUTIONS huge selection of superior products. 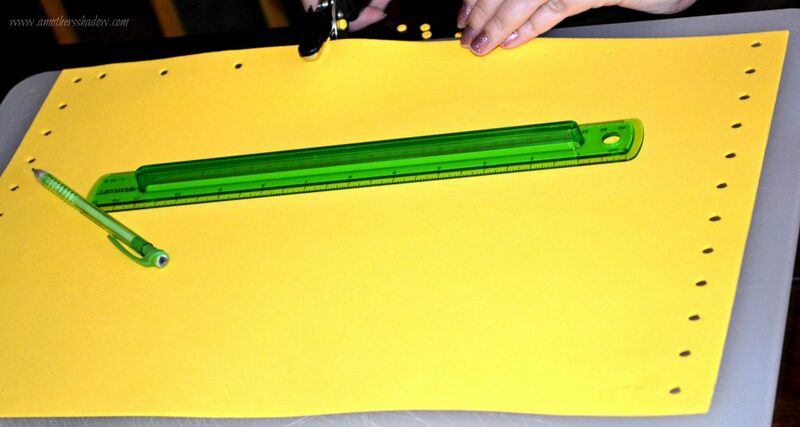 Measure in 1/2″ and make a mark with a pencil or pen. From that point, every 1″ make a mark tall the way across. Repeat this on the other short side of the foam sheet. Measure in 1 1/2″ and mark. 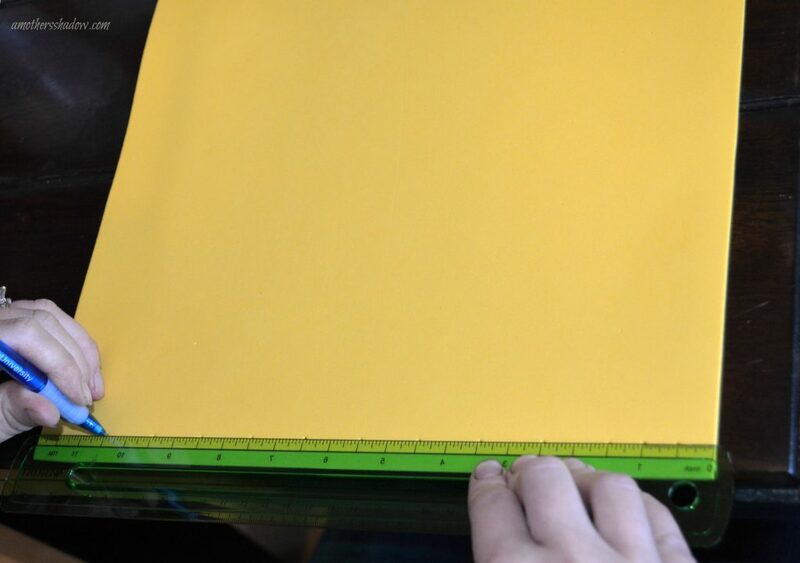 After you have marked the THREE sides, take a paper punch and punch out where you have made the marks, going in as far as the paper punch will allow. See, going in as far the punch will allow, and punching where you have marked, gives uniformity easily and less hassle. Or not, depending on what you have available. 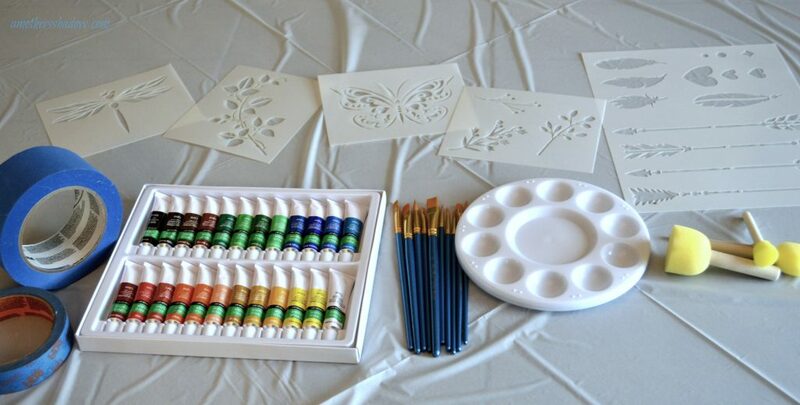 Give them each a palette, sponge brushes and whatever you have chosen to work with. 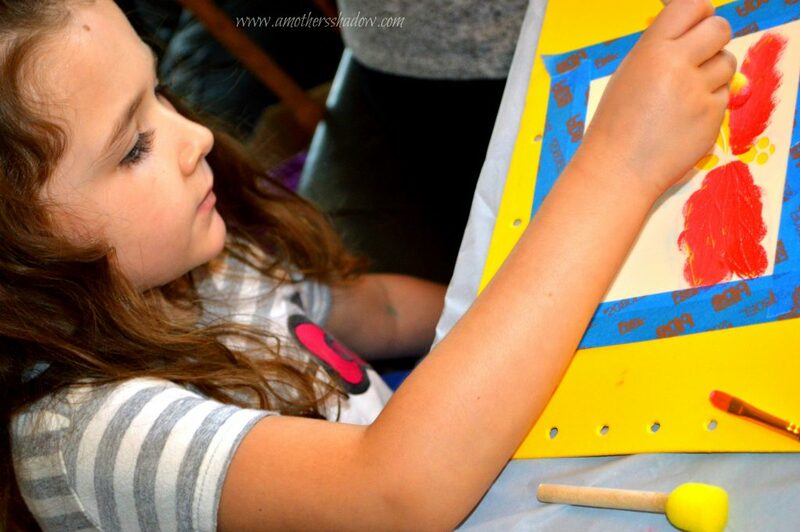 Let them create and explore the Lost Art of Play in using stencils while they paint using their imagination trying a new approach in expressing themselves. You will need 9 TAILS to hang from your Windsock, or however many you decide as you adjust the measurements in punching the holes. Whether you choose fabric strips or ribbon, you will need: ONE piece that is one yard long and NINE pieces that are 24″ long – or as long/short you decide. Bring the sides of the windsock together to form a tube, with the holes lining up. Lace the piece of ribbon that is ONE YARD long through the holes, making sure it doesn’t pull through. Tie it securely in a knot when you can. When you have laced it the entire length of the windsock, make a mark on the top of the windsock directly across from where the ribbon is laced up, punch a hole, which makes it possible for you to tie it through forming a loop to hang the windsock. Tie the ribbon to form the loop and it will look as shown. Now you have fun windsocks to dance in the breeze! 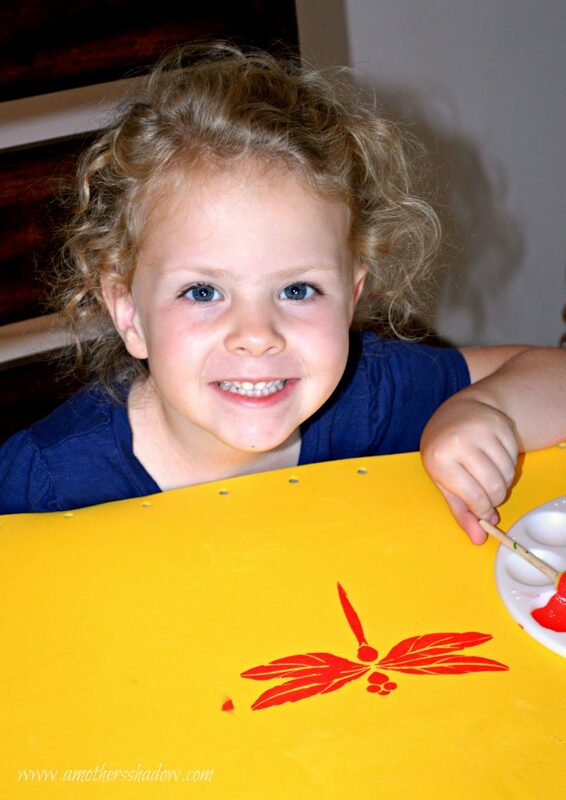 To make the Dragon Fly Windsock and tips for stenciling, watch our YouTube Video below we made just for you to design your own unique and stunning Windsocks to hang out with pride. And that’s how you make this type of sophisticated windsock! Please send your pictures of what you make with STENCIL REVOLUTION products here at A Mother’s Shadow on Instagram, the blog and FB too. We want to thank them for their generosity. We all had such a great time making these windsocks together.